Build a crackling fire that gives off satisfying, comfort-giving heat while requiring very little in the way of poking and prodding. • Be sure your chimney has been cleaned by a professional. Over time, creosote builds up in the flue, making it vulnerable to chimney fires. • Before bringing a flame into the equation, remember to open the fireplace damper so that smoke doesn’t overcome your living room. 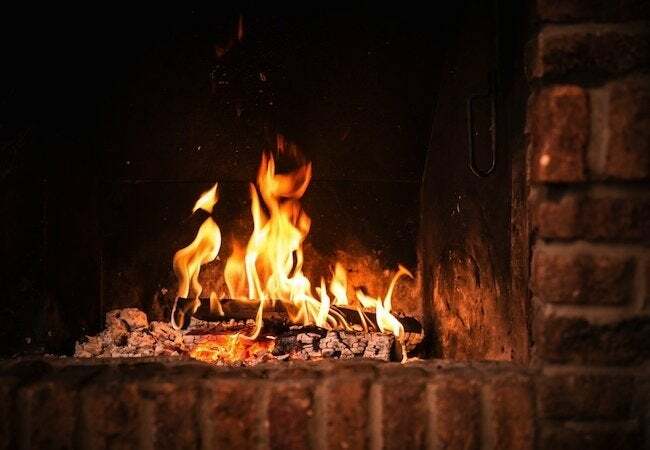 • If your fireplace does not have a grate, add one for safety and to encourage the airflow needed to sustain combustion. Once you’ve prepared the hearth and chimney, proceed to making the fire. With either strategy below, assuming proper execution, you should end up with a fire that not only generates a comforting degree of heat, but also burns well on its own, without needing near-constant attention and care. 1. 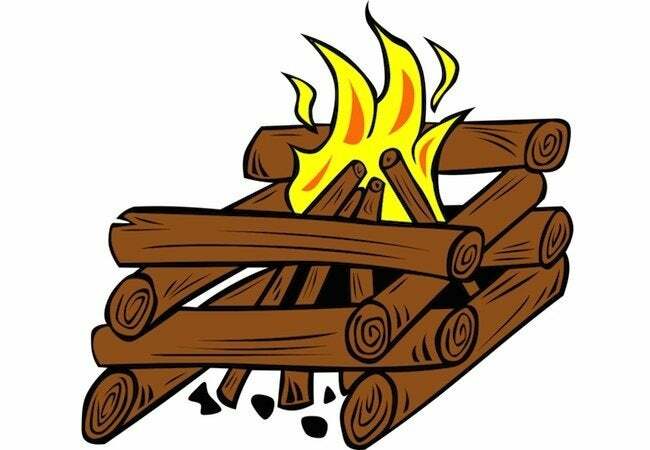 Place two thin logs with no bark parallel to the back of the fireplace, about six inches apart from one another. 2. 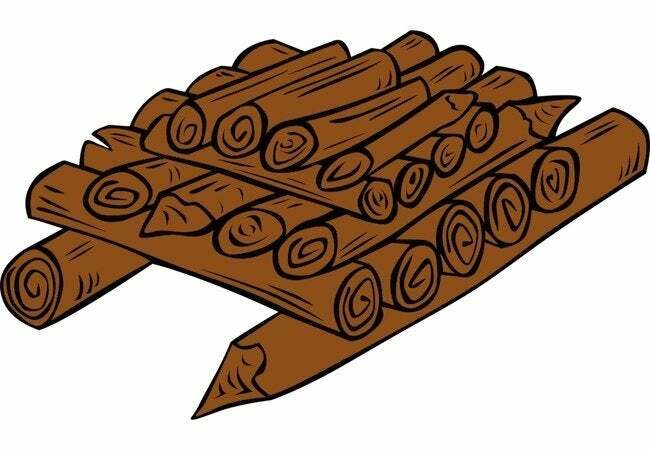 Heap kindling—whether newspapers, twigs, or both—between the two logs from the previous step. 3. Position two additional logs perpendicular to the first two. You should end up with a primitive log cabin-type structure that is two logs tall. 4. If you choose, add one more layer, with the logs running in the same direction as the first pair. Note: In 1978, Mother Earth News reported on a variation of the above, tweaked for maximum heat production. Start by laying kindling in the middle. Next, run two pieces of wood parallel to the sides of the firebox. The far tips of both logs should actually touch the rear of the firebox. Now, as in the normal log cabin method, lay two additional logs perpendicular to the existing two. Importantly, the rear perpendicular log should be touching the back of the fireplace. The other perpendicular log should be very close (not six inches away, as in the first log cabin version). Finally, light the kindling and enjoy a better blast of warmth from your winter blaze. 1. Line up your largest logs across the fireplace grate. 2. Lay a row of smaller logs on top of the logs that you arranged in the previous step. 3. Add one or more layers, each one comprising smaller logs than the last. 4. Use your kindling to form the final, top layer. 5. Light the fire from the top and enjoy fuss-free flames all night. As the smaller wood on top starts to burn, hot embers drop down, gradually igniting the larger logs below. The upside-down method is typically thought to be superior to the log cabin approach, because, for one thing, the pyramidal arrangement creates a stronger draft. That draft feeds oxygen to the fire, allowing it to burn strong and for a longer period of time. Plus, consensus seems to be that the upside-down method produces more heat than the log cabin approach. Why not try both and decide for yourself which you like better?